One of the least desirable features (though "feature" isn't really the right word) of many of the latest and best gadgets is their tendency to accumulate smudges and fingerprints. This is especially true of touch-screen devices. While many touchscreens are equipped with oleophobic ("oil repelling") coatings to help reduce those smudges and prints, something you're touching all the time is going to need cleaning frequently. It's simple enough to give your PS Vita regular polish with a soft cloth, but if you want to make it last as long as possible, there's an even better way to clean it. This method may be a bit too involved for some, but it's worth doing every now and then, to keep your handheld nice and shiny and to avoid at least some scratches. You can also use this cleaning method for really delicate things like camera lenses and your eyeglasses. Unless you enjoy having scratches on your screen, the first thing to do when cleaning anything—screens or lenses—is to get rid of the particles and dust. Hold your device so the surface you're cleaning is down most, and gently dust it. If you've got one of those camera-lens brushes, that works best, but with care, you can also use a cleaning cloth. Just remember, don't wipe the dust; that will grind it into the surface. Use a dusting motion instead. With the toughness of the glass used in most devices these days, you may wonder if this is really necessary. Maybe not, but it's better to be safe than to scratch. And it only takes a few seconds to dust your screen first. In the instructions for cleaning eyeglasses, it says to never clean the lenses dry. Why? Because if there's any dust left on them, it's much more likely to scratch. If there's liquid on the glass, the dust will more likely slide away than grind in. So for eyeglasses and camera lenses, you should always use cleaning fluid (but use something made for the purpose, not glass cleaner like Windex). Spray it on (but not too much), then wipe until dry. For electronic devices like the PS Vita, you may be hesitant to spray it with something wet. Water isn't good for electronics, after all. Of course, most cleaning solutions are primarily alcohol rather than water. You're probably safe either way—wet or dry—as long as you take a couple of things into consideration. If you opt to use a cleaning solution, make sure to use something formulated for LCD screens. If you go dry, take more care in the dusting stage (above) to be sure there's nothing that will scratch your screen. More important than whether or not you use a cleaning solution is the type of cloth you use. Avoid paper towels and bathroom or kitchen linens, and use a cloth meant for cleaning electronics or camera lenses instead. You don't just want something soft, you want microfiber. There are a couple of reasons for this. One is that microfiber has about the softest, smoothest surface you can possibly get, so it'll give you the best clean. The other reason is that there are no big spaces between fibers for dust (dust that could scratch your screen) to get caught. The good news is that microfiber cleaning cloths are inexpensive and easy to come by. If you've had to buy glasses, you probably got a microfiber cloth free with your purchase. Some computers and smartphones come with one. Or you can buy one for a few dollars. Sony's official PS Vita Starter Kit includes a cleaning cloth (with the PS Vita logo, even), and other manufacturers like Rocketfish and Nyko also make them. Or you can pick one up at any optometrist, camera shop, or electronics store. On one hand, the more often you clean your screen, the more likely you are to get a scratch from a stray bit of dust. On the other hand, the more grime that builds up on the screen, the more likely there is to be something on there that will scratch once you do get around to cleaning it. So find a balance between obsessive polishing and avoiding cleaning until you can't see anything on the screen. One way to ensure your screen stays scratch-free is to use a screen protector. This is a thin, clear layer of adhesive film that covers the screen but doesn't obscure it. 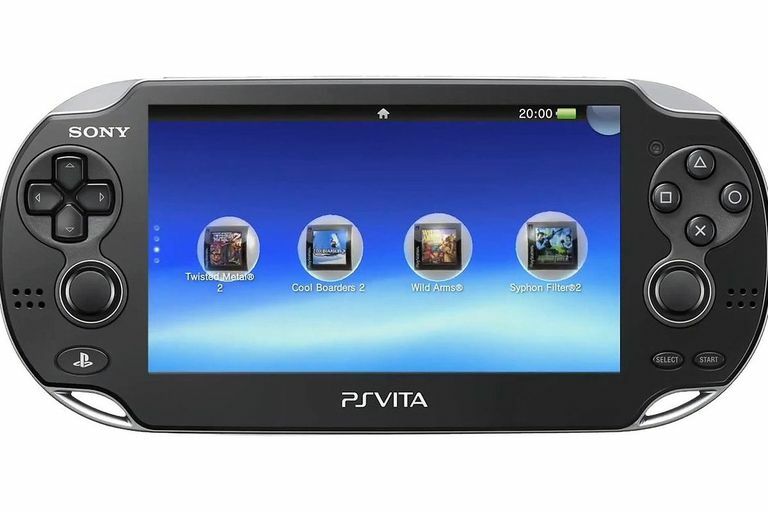 The advantages are that if you do miss some dust and scratch the surface, or your PS Vita is rattling around in your bag with things that might damage it, the screen itself is protected. You can peel off the film and replace it, leaving the screen surface scratch-free. The disadvantage is that some films reduce the screen's responsiveness to touch. Since touch is your main input, that's not such a good thing. If you have a good case for your PS Vita and you regularly keep it in that case when you're not using it, you may not need a protective film at all, even if you travel a lot. On the other hand, it may be better to be safe than sorry. If you do use a screen protector, Sony recommends using the official product to be sure your screen's touch sensitivity isn't impaired. There are other good brands, of course, but since this is such an inexpensive item, you're not going to save much by going third-party. At any rate, a protective film can be easily removed if you find you don't like it. The most important consideration when cleaning the screen (or lens) of any device is simply to take care. Pay attention to what you're doing and you should be able to avoid scratches and keep your screen clean and shiny for as long as you own your PS Vita.